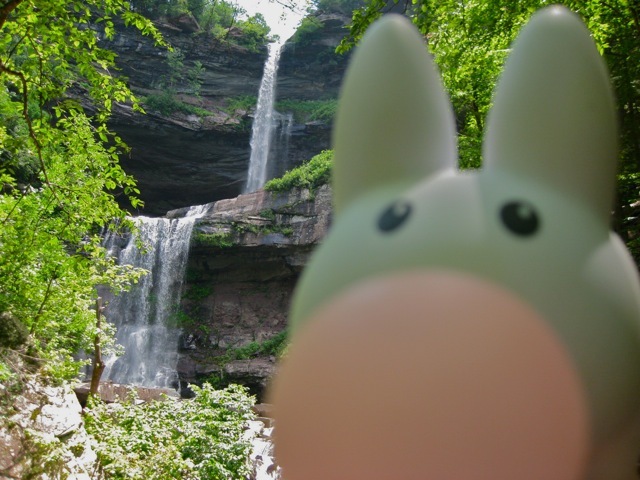 On the last day of Pipkin's three day trip to the Catskills, he visited the top, middle, and bottom of Kaaterskill Falls, a double cascade waterfall that is famous with poets and painters and tourists alike. 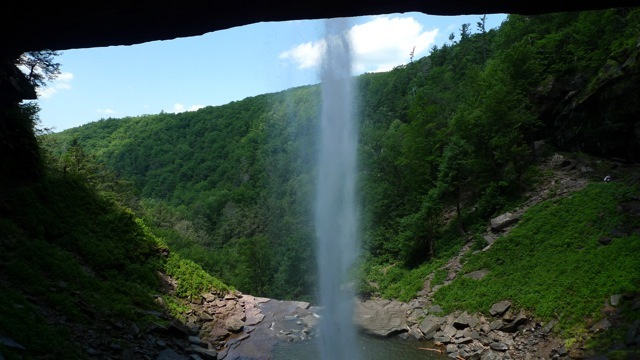 Combined, the waterfall has a height of 260 feet (79 m), making it one of the tallest in New York state. Above, you see Pipkin at the foot of the falls. Several artists had set up easels to paint and draw the falls. If you are adventurous enough to scramble over rocks, you can reach the foot of the upper falls and then go behind the falls. It's not often that the back of the falls is accessible, and the view and the sound is worth the trip. Just be safe! And here Pipkin risks peering over the edge at the top of Kaaterskill Falls. There's no official hiking route from the foot of the falls to the top - you have to access the top of the falls from a different trail from the town of Haines Falls. You can find directions and information about the two trails that access the top and bottom of Kaaterskill Falls here. While both of these trails are short and have very little elevation change, the foot of the falls is a rocky trail and is very busy. 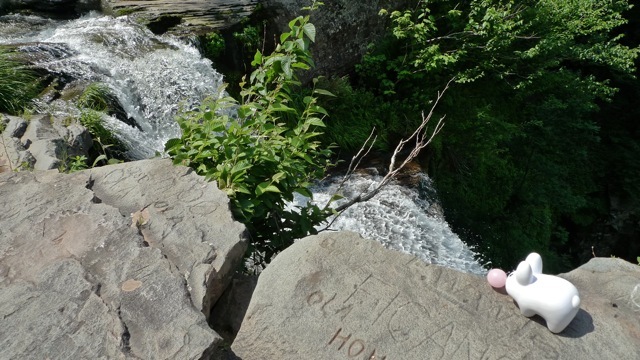 The ledges and wet rocks at the top of the falls also pose a danger. Please be careful hiking around the waterfall. Many people have lost their lives at Kaaterskill Falls, and there are perfectly gorgeous views if you stick to the trails.